Have a little boy interested in dance? all our themes can be easily tweaked to be appropriate and fun for all! Add tights and ballet shoes for an additional $18. Each week we'll hop, skip and twirl through an imaginary adventure! you'll see your child blossom before your eyes! Parent Performance at the end of each session . Then, watch your daughter beam with pride as she performs for you during Parent Performance Week! Our Program is based around 10 week sessions that incorporate several different themes each session. Costumes for Parent Performance Week are supplied on a "dress-up" basis so there is nothing extra to purchase. Additionally, each child will receive her completed sticker chart to celebrate her achievement. Fees are $150 per 10-week session . Dance dress (leotard) included. Each class begins by warming up our muscles, gentle stretching and some strengthening exercises during a circle warm-up. 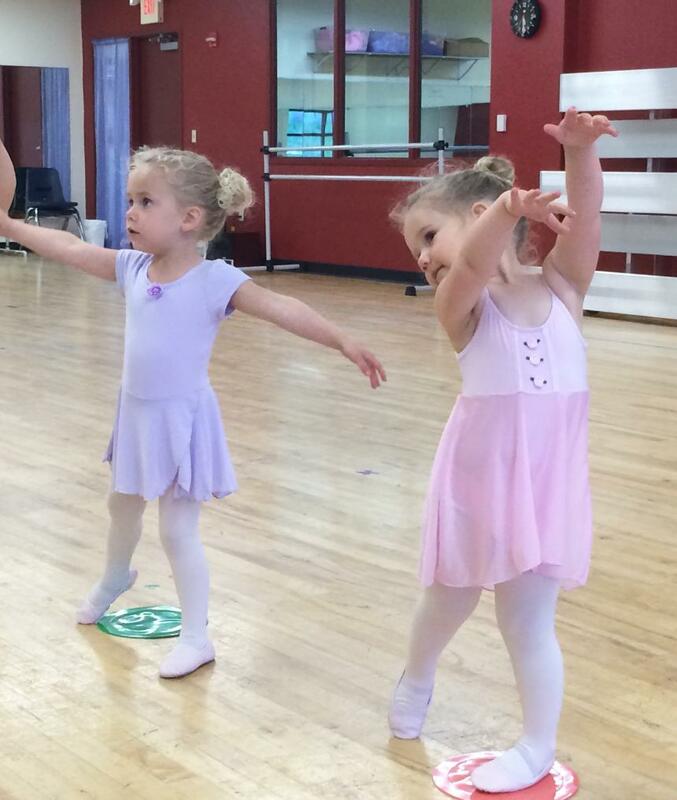 We practice our Princess Ballerinas dance moves (and review their french names) like relevé, plié, tendu, passé. We travel to magical lands and pretend to be things like beautiful flowers, fairies, birds, butterflies and, of course, princesses, all while practicing our listening skills and making new friends. We experiment with an ever changing assortment of props, such as silk flowers, colorful scarves, hoops and wands. Each session is designed with one or more new magical themes like Enchanted Forrest, Royal Ball, Fairy Garden Adventure or Winter Wonderland and Barnyard Ballet. We can't WAIT to perform for you in class at the end of each session in a fancy costume (dress up-only). We end each class with a special good-bye dance and each child getting a sticker to reward and celebrate her progress and success! TUITION INCLUDES DANCE DRESS (leotard w/ attached skirt), add ballet shoes and tights for $18. We will contact you to come in for a fitting before your child's first class. No classes during spring break: 3/26-3/31. Click on the Register button to get to our registration page. 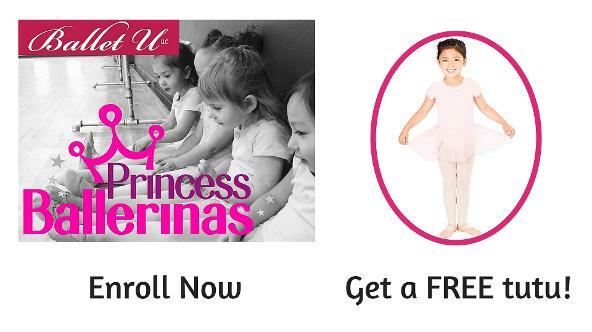 Choose the correct season, "Spring 2018 Princess Ballerinas" and then your preferred class time from the schedule. If the class title appears in red, it means the class is full. Risk-Free New Student Guarantee: If you decide the class isn't a good fit, you can request a refund for the remainder of the session up through the second week of the session.